My husband and I threw a fun cocktail party at our new home in Los Angeles catered by The Kitchen for Exploring Foods. Passed hors douvres included tuna tartar, lollypop lamb chops, salmon carpaccio, specialty drinks, and more. Here are pics from the event and some ideas to try when planning your next soiree. Ramy Brook dress (this one is no longer available). Check out other amazing Ramy Brook dresses at RamyBrook.com and Bergdorf. Shop in your closet. 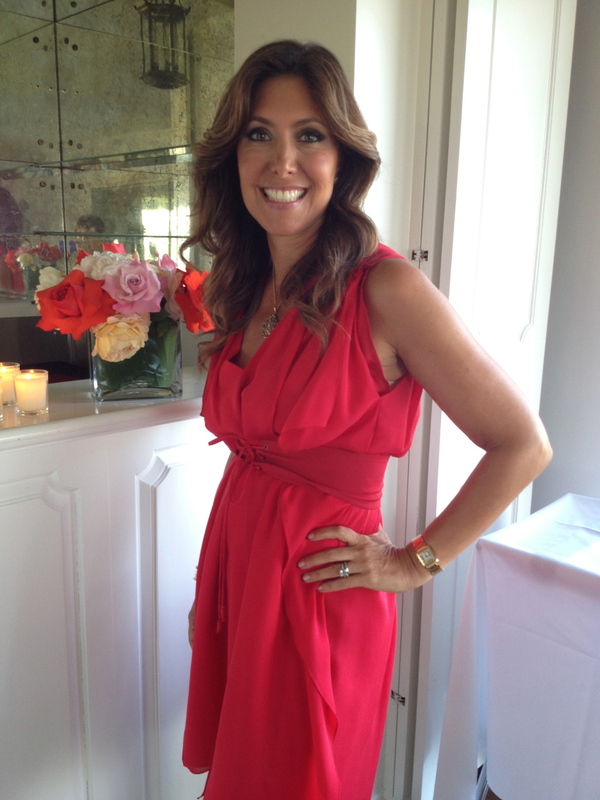 I had this fabulous red Ramy Brook dress that I wore once in New York over a year ago and thought it was perfect for the event. I made my own flower arrangements from roses in our garden. The roses and their petals that were not up to snuff for the arrangements made their way into a giant glass vase. This makes a nice centerpiece. How to make this arrangement: Buy assorted roses from the farmers or flower market. Pull them fully open. Cut short and place in a square glass vase. Line the vase with a banana leaf to hide the stems. Arrange randomly. Perfect! Candles, candles, candles! I ordered 72 votive candles including holders wholesale for $39.99 from QuickCandles.com. 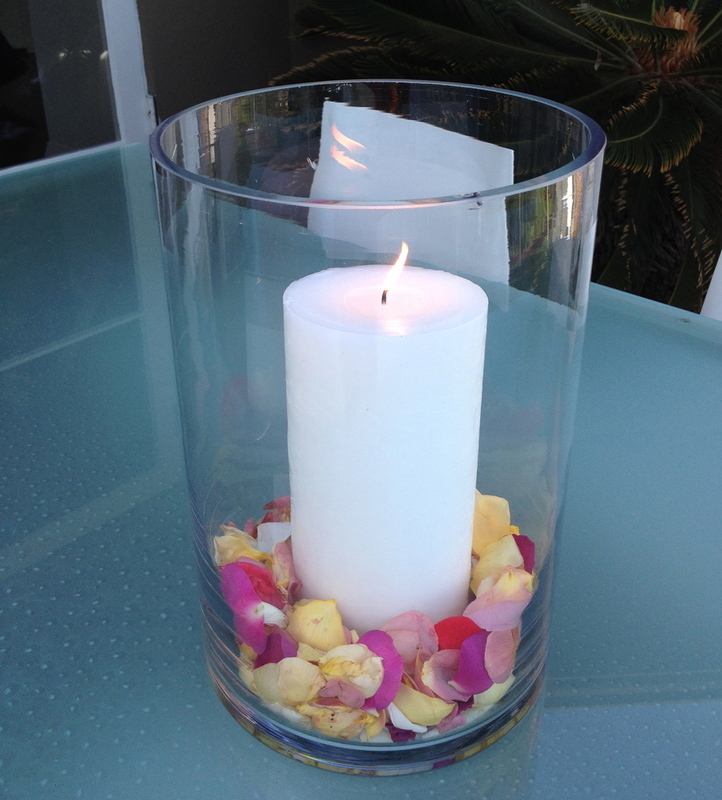 Set them up in groups or clusters everywhere...they create an atmosphere of simple elegance. Candles everywhere! Rose petals on the walkway add a nice touch. Wood burning pizza station was a big hit! Offer several different varieties. Guests (including my daughter Rachel) enjoying chocolate covered strawberries!